I am one of those crazy Midwestern gals who loves each of the seasons. People are always saying something like, "How can you live there with those freezing winters (or broiling summers)?!!" You know what? I love summery summers ... hot and sweaty, pools and ice pops, playing outside and eating outside every day. I adore wintery winters ... cold and bundled up, sledding and snowball fights, huddled on the couch watching movies and eating soup. But, a couple times a year we really get it right. Spring and fall with their warm days and cool nights make you really appreciate living in the heart of the country. Every year, we make a family trip to go apple picking. This year, our weather was spectacular! It was in the high 70s, sunny and dry. Five kids and four adults picked a variety of apples. We got some Macintosh, Jonagold, Empire, Red Delicious and Braeburns. Quite the haul! When we got home, we started peeling, chopping, Welcoming Kitchen: 200 Delicious Allergen- & Gluten-Free Vegan Recipes and cooking! We made two huge pots of applesauce -- one for eating (chunky with cinnamon) one for cooking (plain and blended smooth). I made a big apple crisp while my sister baked Apple Pie muffins. Sound good? 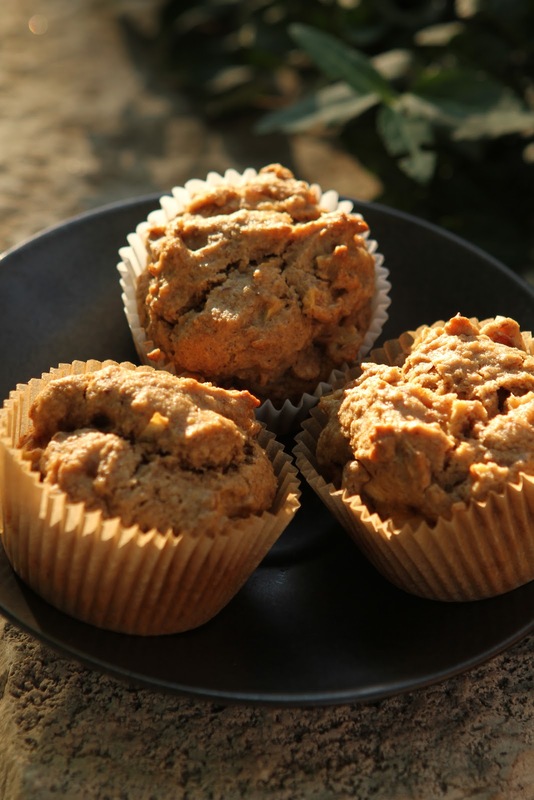 You, too, can bake up a batch of these allergen-free, gluten-free and vegan apple muffins. Of course, just look up the recipe in your Welcoming Kitchen cookbook. If it's not handy, though, you can get the recipe in this month's Chicago Parent. Jenny Kales, the Nut-free Mom, wrote a helpful article about the ways that schools are working to keep allergic kids safe and included in light of classroom parties. As an allergy mom, I am grateful that she is out there doing such good work! Our recipe for Apple Pie Muffins was included along with the article! On another note, we are very honored that Welcoming Kitchen is included in parenting guru, Elizabeth Pantley's new book, The No-Cry Picky Eater Solution. Elizabeth is a life-saver with her No-Cry approach to parenting. (I devoured The No-Cry Sleep Solution when Casey was little.) Two recipes from Welcoming Kitchen are included with recipes from several other kid-focused cookbooks as part of this resource for any mom or dad who has tried to figure out how to feed their child without a fight!